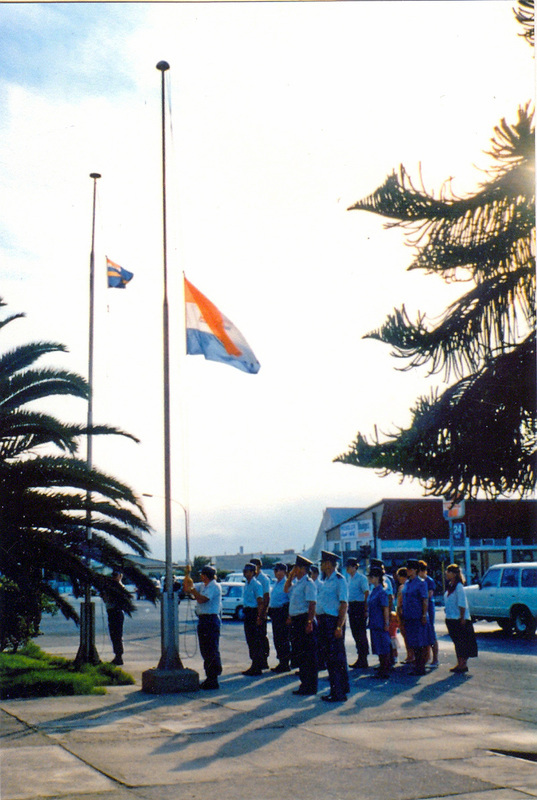 ​In 1990 South-West Africa gained independence as Namibia, but Walvis Bay remained under South African sovereignty. At midnight on 28 February 1994 South Africa formally transferred sovereignty over Walvis Bay and the Penguin Islands to Namibia. 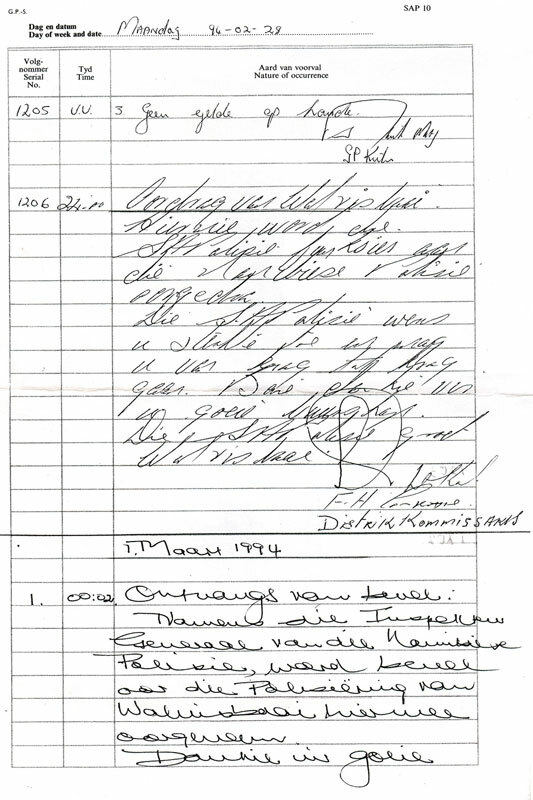 Displayed on this page is a copy of the SAP 10 (Occurrence Book) entry reflecting the handwritten and signed handing-over of command (Afr. oordrag van bevel) of Walvis Bay police station. South African Police, Walvis Bay, fall out!